I love electronics for the reason that I am amazed on its capacities and how it can help us with everything we do. It gives us the fastest and convenient way to work the things we always do. We all know that the modern world has more reliable technologies such as cell phones, home alarms, computers, tablets, and even the entertainments we now have is all modernized. I’m fascinated with technology, that’s why; I would like to learn more and more every day. 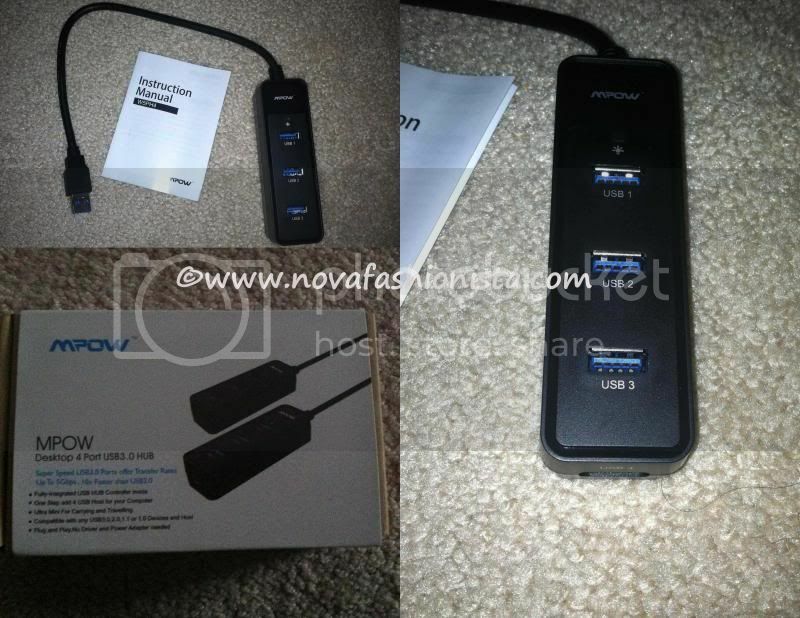 One of that is the opportunity for me to evaluate MPOW’s desktop 4 Port USB 3.0 HUB. This kind of accessory is very helpful for those who need more than just one USB port. If you are the kind of person who needs many attachments in their computer, this is what you should get. The installation is pretty simple and quick, save you time and hassle free. All you have to do is just plug it into your USB port, and the installation will automatically do it. Now, instead of having only 1 port, you will definitely enjoy the 4 ports on your desktop, or laptop. This USB3.0port has a super speed port that offers transfer rates up to 5Gbps, 10x faster than USB2.0. The type of port you may want to use if you desire a more rapid processing. As I mentioned, there are 4 USB ports for your computer, ultra mini for carrying and travelling, which I find very suitable as the accessory is indeed not hulking it will positively fit in your laptop bag, lightweight. Compatible with any USB3.0, 2.0, 1.1 or 1.0 devices and host, the most important part that I’ve mention was the plug and play, no driver needed and power adapter needed, no more pain in your head. Material: ABS plastic with high hardness. 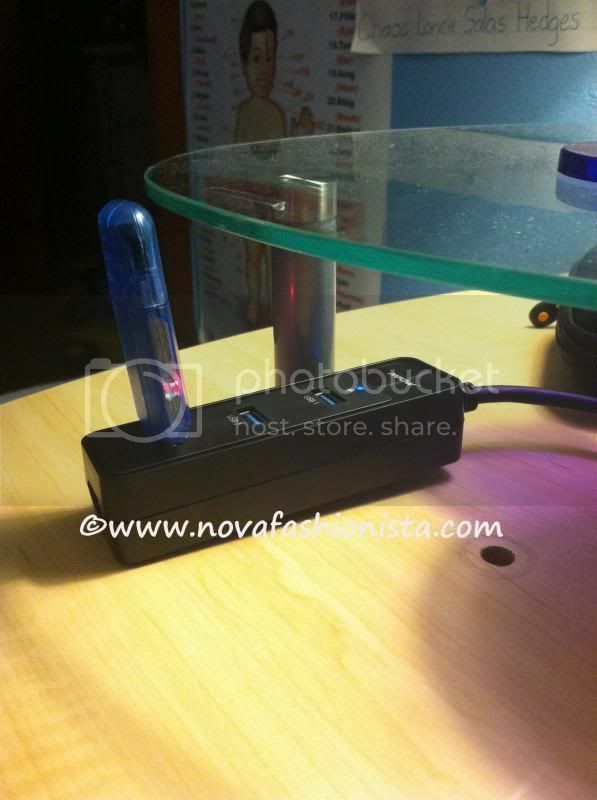 I love my Desktop 4 Port USB3.0 Hub as I could enjoy more than just one port in my laptop. I don’t need to unplug my USB one at a time; hence, through the hub I can do it all at once. You can always check out more of MPOW’s devices @ http://www.xmpow.com. PRODUCT UPDATE: As of March 27, 2014, I still love my 4 port USB3.0 Hub as it still works great and yes I have no problem as well as giving me the faster transmission. #Mpow is giving away the 4 Port USB3.0 Bus-Powered Hubs to 2 of my lucky readers/followers. The giveaways will start on March 28, 2013, 12AM EST and ends on April 3, 2012, 12AM EST. This is open to US residents only. This is your chance to get them FREE!!! Join Now!!! This website is not responsible for the prize in this giveaway. If you have any questions contact xmpow.com. Oh, this is really nice to have at home. I love that it has warranty even if for a short period of time. Cool, I will order one! I am always having to unplug one device to plug another one in, I need a more USB ports. Love it! I too love this one. Thanks for sharing and will definitely have to check this one out. Cool! It's a good gift idea to tech geeks like my husband. I will absolutely enter the giveaway since I want one, maybe I can win again from your giveaway hehehe. Sounds like a neat gadget to have. I like that port hub. My Mac only has 2 and it's never enough for me. Great giveaway! Good luck to all the participants. You're so lucky to receive products via Tomoson! I applied on this before but I didn't get anything. Nice product! I need ports like this! Does it have a port for SD cards?